As you can see, you can rotate the world, other mechanics include physics swapping, wall jumping, falling with style and the aim is to make it to the portal in each stage as fast as possible. You'll receive a grade based on how fast you beat each level. And as an added bonus an extra difficulty level "One Life Mode" where you as you can probably guess, beat every level in succession with only one life, fail and you're kicked back out into the main menu. Anyway there is a web build for those wishing to play in browser and also a windows build for those that wish to play offline and with a controller. I understand the UI still needs a lot of work and there is plenty plenty more I wish to put in this game(not all mechanics on paper have not been added). So leave a review, give us feedback and tell us what you think. 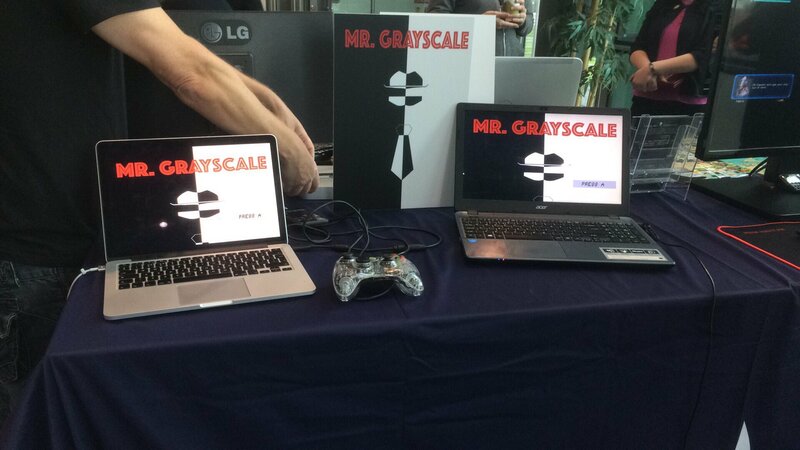 So back from a weekend exhibition where I got to show off Mr.Grayscale and have to say it was a blast. It was amazing to get feedback in person and see people actually enjoying themselves. There is now a Twitter, and Facebook page to follow, and also a Discord channel you can join. So dev log stuff. 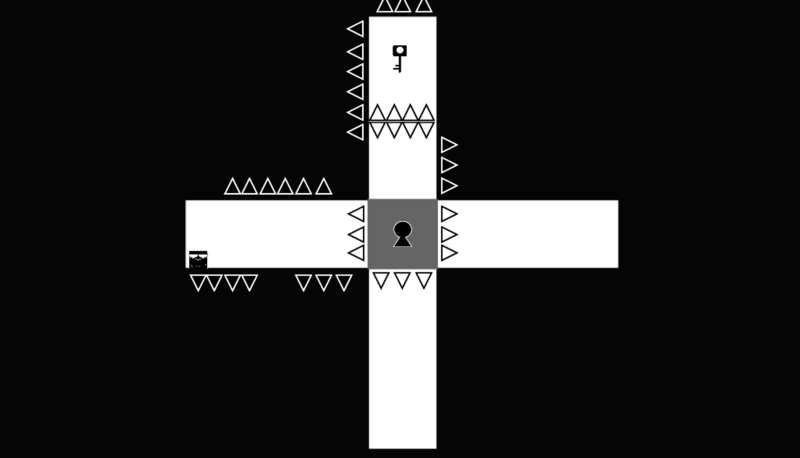 I have created a new mechanic that was solely for the exhibition for Mr.Grayscale of opening up blocks to progress through a level. This level turned out to be a success and a nuisance. It showed me again the importance of play testing a level with people who have never played before. Why? Well people struggled with this level meaning the difficulty spike was too high too fast. Some people enjoyed this, but others gave up frustrated that they couldn't finish it. On top of this, an older mechanic where only a few people were understanding how it worked through trial and error. So this means back to the drawing board. So I thought I may have been further in development than I was but I have now realised I am a lot further behind than initially thought. I think they mean was it taken from somewhere versus created of your own accord :) looks cool though. So been a while since the last update here on itch but I have been busy working away on Grayscale among other projects. An updated version of the game has been uploaded and this will be the version showing at the Galway Games Gathering. It's coming along nicely and slowly but is working nonetheless. Sorry about the late update but as you can see at the top the art has been tidied up but will probably still be changed and changed again. A few mechanics have been worked on which are not introduced in the game at this time as it would be too much too soon in terms of level design and tie currently is of the essence for me. Development unfortunately will have to slow down as I enter college again but will do my best to make sure that I have the best possible version of Grayscale to be released. Anyway try out the game if you like and please leave feedback as feedback is very important to me as I tweak the controls. Hopefully next update won't take as long. So it's been a few days since my last update, didn't want to spam with every tiny update so I have a few. I made some good progress with the aesthetics of play :) was tweaking and tweaking and tweaking again. Fixing scripts only to find I forgot (sign of fatigue I guess :P). I also added a new testing level trying out the idea of finding the quickest route to beat the level since I would like this to be a core concept of the game. A death animation and a basic finish animation has been added in, so next the plan is creating visual cues to allow the player to know that they can't rotate the world when within it's radius. Here is a video of the game being tested with music by Rhyss Davies. So I added wall jumps and secret exits to some stages. Some work needed on making sure the player can't just fall through into secret area but this is a problem to be tackled a little bit later. I'm still debating with myself on how to present the UI. Have many, many more ideas I'm testing out currently so it will be nice to share these with you once they have a little bit of polish but sure we shall see. Also have music being worked on which I hope to share with you very soon. Grayscale Secrets from Paul O'Callaghan on Vimeo. So first time doing this dev log. Working on a game called Grayscale as you can tell. It's a puzzle-platformer. Your physics interaction is dependant on your colour and the world is also rotatable. I don't see an option to post up screen shots here as far as development so far goes but sure I'll make out my list and keep it up to date as I periodically work on it. 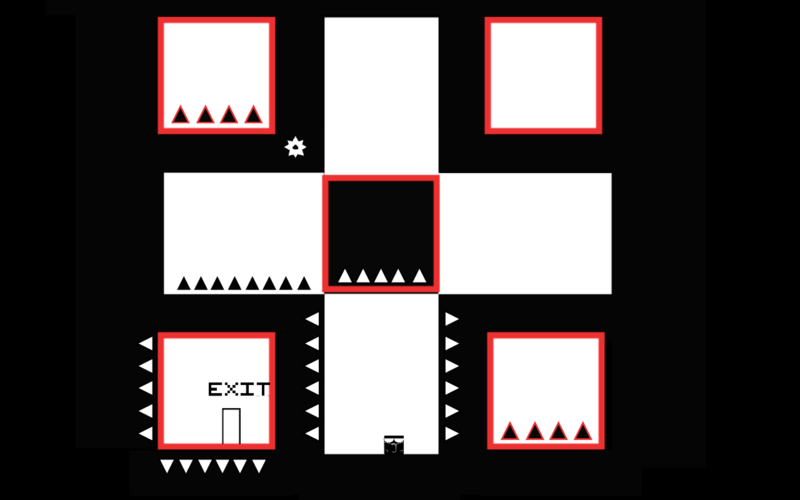 Because of the rotational element there will always be more than one way to solve a level so your initial way of solving the level might not be the fastest route. You can follow me on twitter also for updates too i that's your thing @pauljamesgaming. There's no real story involved, it is more of should it be okay to make things harder on someone because they don't share a view and only when they finally agree will it be made easier, unless they decide to continue on and not change their opinion powering through. I guess it was very ambiguous because of the level design too (something to work on in future). For anyone else who may be thinking of joining, the guy seems a little off and got offended after I asked if he really worked on Stick Run from Facebook and not fully believing him. Cool, what sort of games are you interested in making?